To sling or not to sling? That is the question. Well it is the question I have been asking myself for most of my second pregnancy anyway. When Leo was born I was very much the mother who rarely had a moment without a newborn in her arms, I trained myself to do tasks one handed and some days it really felt like I just couldn’t ever put him down. 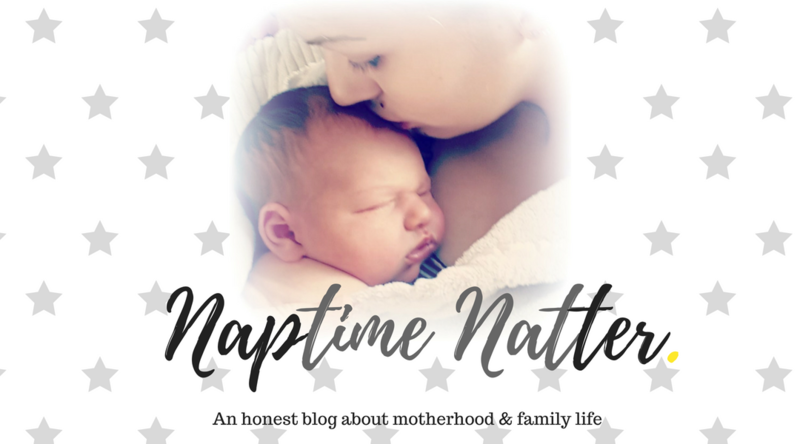 When I found out I was expecting baby number 2, I had no idea how I was going to cope looking after Leo and a newborn, especially if I end up with a particularly clingy baby. That is why I am going to give babywearing a go this time around, I have been sent a carrier to try out from a lovely member of the family and I am really hoping it is going to make those early days easier. Those days when all my baby wants is to be close to me but where I will also, inevitably, have so much to do that unless I grow an extra pair of arms it will just be impossible. Before I embark on my babywearing journey I got in touch with a lovely Mummy I follow on Instagram who is always sharing pictures of herself carrying her toddler in lovely slings and carriers, and she’s also expecting another baby too! Cecilia has kindly agreed to take part in this interview and has answered all the questions you could ever have about babywearing. 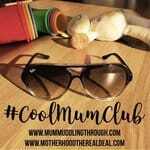 I am hoping this interview will help mums, like me, decide whether babywearing is right for them and give them all the advice and knowledge they need . I will now hand you over to Cecilia, get ready to find out all there is to know about babywearing. Interview – Everything you need to know about babywearing. My name is Cecilia and I am mum to Aaron (10), Emily (8), Isla (2) and bump. I was born and raised in South America but I have been in the UK for the last 11 years since marrying my husband, Ian. I simply love being a mummy and that is what I love doing the most. But when I am not at home being busy with kids, I work as a midwife in a hospital setting. I love both aspects of my life and I feel they compliment each other. When did you decide that you would use a sling/carrier for your child/ren? Have you always liked the idea of babywearing? Babywearing started out of necessity rather than choice. 10 years ago when my 1st baby was born I realised I barely had any time to achieve every day tasks, even going to toilet or getting something to eat was difficult. He wouldn’t stay asleep alone for very long during the day and wanted carried a lot, my arms were tired and by the end of the day by the time my husband came home from work I was lucky if I had put the washing machine on! I bought a baby bjorn sling from a main stream retailer and loved the opportunity to have hands free time whilst carrying a content baby. My stress levels went down and baby became more content. From there, the idea of babywearing developed and I started researching more and more into it and realised some slings are better for baby’s and mine comfort so babywearing as a concept for me was born. What is your favourite sling to use for a newborn/older baby/toddler? For a newborn, a stretchy wrap such as a hana wrap is my all time favourite. They are very light weight and because they are stretchy they allow a newborn to mold to your body freely and adopt the most comfortable, natural position for them. They are very easy to use for beginners and the bamboo blend on the Hana wrap regulates temperature through the different seasons. From about 4 months, babies start to get heavier and start to wriggle about and often need a more supportive fabric than a stretchy. In my experience a woven wrap is the best for older babies until they start walking- a woven is just a long piece of fabric that you securely tie. They provide the opportunity to experiment different carrying positions, front carries, hip carries (great for nosey babies that want to see the world) and of course back carries. 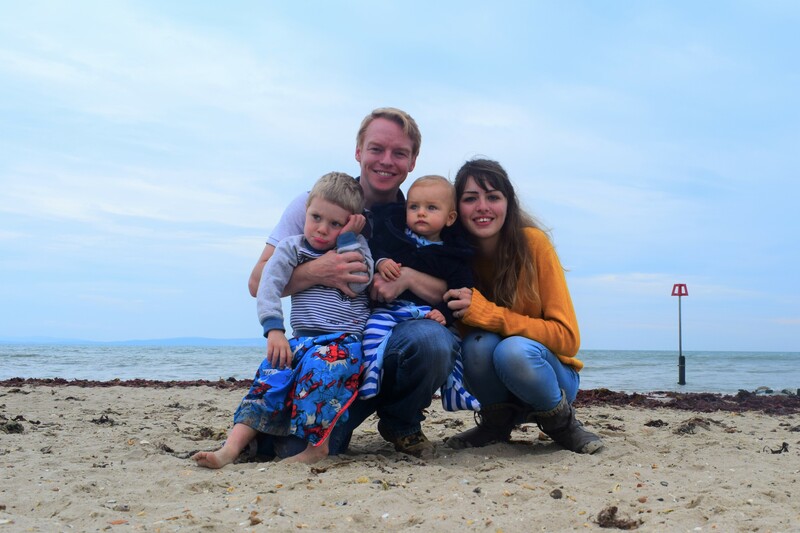 Once they are toddlers they start to become more independent and often go up and down often: I find at this stage they want to walk and explore but then little legs get tired and they need to be carried, so for then I favour buckles or a ring sling. A buckle carrier – really is what it says, you clip the buckles on and you are good to go. 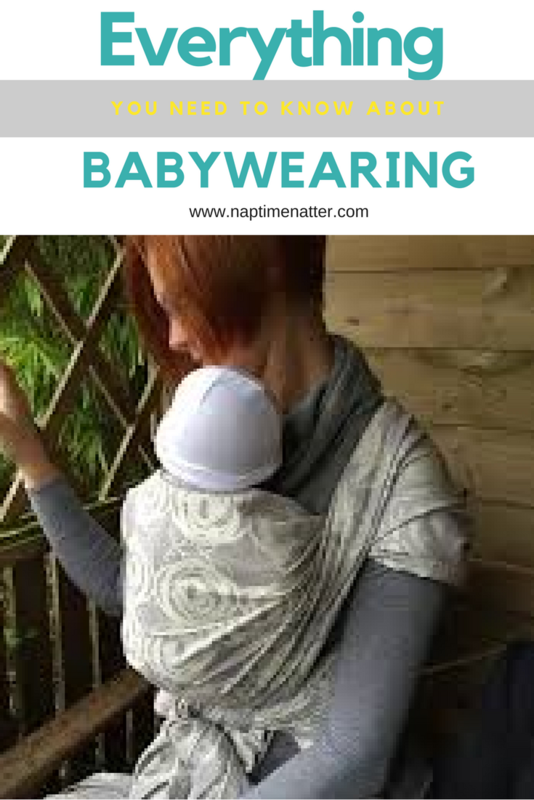 A ring sling is a piece of fabric with a round metal ring, you pass the fabric through the rings and usually baby sits near your hips supported by the fabric and it’s super easy to use. What is your favourite thing about babywearing? The fact I can go where prams can’t. Shopping is so much easier when you don’t have to wait for lifts, negotiate through crowds or narrow doors. I can get on a bus or train and not worry about if there will be spaces for the pram. When I go out I don’t have to spend ages getting the pram in and out the car. Going on holidays is stress free without having a pram to contend with, from security at the airport to negotiating cobbled and uneven streets ,all is much easier when you are babywearing. I can go on walks, take the stairs and pretty much do what I would do if I didn’t have a baby with me. What (if anything) do you dislike about being a babywearing mummy? That you and baby can get quite sweaty during the summer months. Using light clothing and a muslin between baby and you can really help. But at times it just can’t be avoided. In your opinion what is the best baby carrier you’ve used in terms of quality, price and ease of use? The Tula baby carrier has been what I have used the most with my youngest, Isla. It is a buckle carrier and super easy to use. You buckle up the waist strap, put the baby on, buckle the shoulder strap and you are good to go. Because I suffered with back pain in the past, the tula’s padded shoulder and waist straps have meant that my back not once has been sore even after 8hrs of daily use on very unsettled days. It has a handy pocket to keep your phone, keys, cards etc too. The standard Tula retails at around £98, but because of its quality it retains its value, meaning once you are finished with it you can sell it for pretty much the same price you bought it for. It’s a win win 😉 some prints are so popular you can sell them for more than you paid for. What advice would you give to a mum who is thinking of trying babywearing for the first time? To look for a sling library and try different slings on before buying it. It can be confusing and overwhelming at first. There are hundreds of libraries around the country easily found online. They stock the most popular carriers in the market, if you attend their meetings you can try them on and they can give you advice on fit. You can also hire them for a small fee and take the slings home for a proper test drive. Alternatively, there are online sling hires that will send you the slings through the post. Is it possible to use a baby sling and not completely go down the attachment parenting route? Or once you start using a sling does your baby want to then co sleep with you and be in the sling all the time? Yes you don’t need to go down the attachments parenting route if you decide to babywear at all. They won’t want to be carried all the time nor will they insist on sleeping in your bed. You may find it’s the other way round actually. The more you carry your baby, the more secure they become about the world around them and being close to you it’s the best way to encourage them to be independent. The emotional and psychological benefits of babywearing mean carried babies sleep, play and socialise more independently sooner than those that aren’t kept close to their main care givers. I try to put myself in a baby’s shoes : they were cosy and cocooned inside you for months and then they come out into this mysterious, cold and scary vacuum. If they are in this hugging and cozy environment when being worn, the world is now a good and safe place to be in. They can more easily go to sleep in their cot, moses basket, your bed or anywhere else you like with the knowledge that the world is a safe place to be in. Are there any brands of sling/carrier you would advise mums to avoid? Why? I would say avoid carriers that don’t support your baby to be in a natural position, those are narrow based carriers that makes your baby’s legs ‘hang’. Usually these slings give you the option to have your baby to face away from you , or facing the world. There has been concerns about the safety of these carriers as they don’t appear to provide their hips and spine the correct support and I would encourage new parents to read up about it. Baby bjorn is an example of them. Ergonomic carriers have wider bases and support babies better. Are wraps as complicated as they look to put on? Haha they aren’t. But I wouldn’t had said that before I learnt how to wrap. It’s a bit like fitting a new car seat for the first time or putting your first babygrow on a baby with all those poppers . You sweat over it at first but then it becomes second nature and you can almost do it with your eyes closed. Also the more you use your wrap the softer and mouldable they become. Is it possible to breastfeed your baby while they are in a sling? YES! That’s another huge benefit of babywearing. It takes a little of practice but once you get the positioning right it’s plain sailing. I have fed my babies while walking on the school run, pushing a trolley at Tesco and cooking dinner very discreetly without anyone even knowing. Some carrier covers you up completely once you place the hood they come with over babies head if you prefer, so it’s very handy. Also no more looking for feeding rooms at stores or a dash to the car to feed while you are in the park with your older children or in the middle of food shopping. If you have a baby with reflux by feeding upright and maintaining an upright position after the feed is an absolutely life saver. What are the benefits to you and baby when it comes to babywearing? All that I have said above, but one of the best feelings is when they spontaneously kiss you, look you in the eyes and snuggle in. I also love babywearing in the winter as we keep each other cozy and warm during walks! I find I relax more when I babywear, no more checking they are still breathing during their naps or worrying they are too hot or too cold, because they are right there next to you you just ‘know’. You pick up on their cues so much faster when they are close to you, you know when they need fed, comforting or changing much faster. For babies, that’s what nature intended, their spacial awareness and sense of balance is greater than those who aren’t carried. They form healthy bonds with their caregivers and generally are more content. Describe your babywearing experience is 3 words. And finally, what are your top 5 tips for mums who want to give babywearing a go? 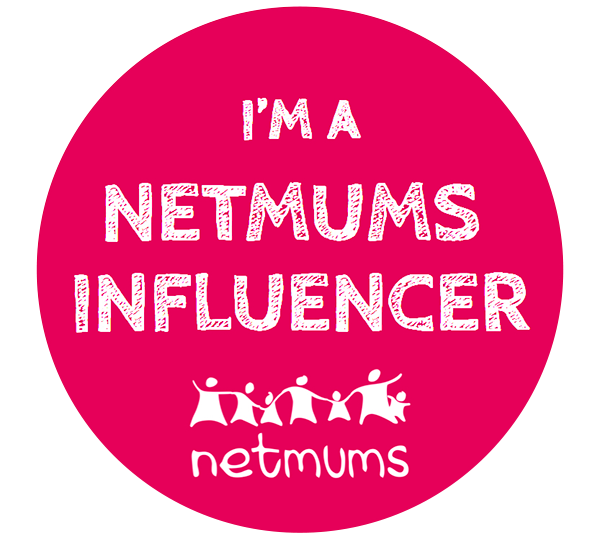 3- join social media pages, the babywearing community is very friendly and are always there to help and give advice. 4- read up on safe baby wearing, such as correct positioning to ensure baby’s airways are open at all times. 5- enjoy the cuddles, loving snuggles on your chest, kisses and the closeness ! Thank you so much for your detailed answers Cecilia! I feel like I have learnt so much from this interview and hope these answered have helped you if you are considering giving babywearing a go. If you want to see more adorable photos from Cecilia and her family then please give her a follow on Instagram. Do you use a baby sling/carrier? How have you found the babywearing experience? Do you have any more tips that would be useful for a mum-to-be considering using a sling for the first time? Maybe you are pregnant and not sure if babywearing is right for you, has this interview helped you understand it all better? I would love to know your thoughts. Eating healthily as a one wage family – is it possible? Next Post What’s in my hospital bag? Themotherhub recently posted…How To Be A Woman: Caitlin Moran in retrospect. We love babywearing. We had s mobi wrap until 6 months and then we’ve got our connecta. It’s been a lifesaver for us on many occasions! Cathryn -Little Paper Swans recently posted…13 Ways You Know You’re A Parent When . . . This is so helpful! I think I would love to give babywearing a go if I have another. It does sound so much easier than having to push heavy pushchairs and prams everywhere and I love that when you get the right position you can feed and wrap at the same time. We really are the ultimate multitaskers us ladies aren’t we? Thanks so much for linking up to #KCACOLS hope to see you back next time! Bridie By The Sea recently posted…What’s In My Room 101? I have a sling and I LOVE carrying her around when we are out and about. Mummy and Monkeys recently posted…Have you tried Office Yoga? I’ve had three children and I never tried baby carrying but I sort of wish I had now. This sounds like a great way to bond with baby and I can see how this would make them more independent and content. Thank you Wendy for this! Only now am I catching up with life 🙂 I think TICKS is very important, great that it was pointed out. 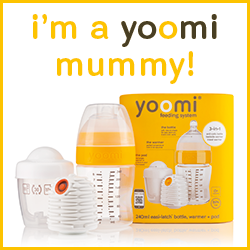 I certainly love baby and toddler wearing and I am so glad to read it has been useful to you and other mums.